Liverpool have been pitted against Chelsea in a mouthwatering Carabao Cup third round tie. 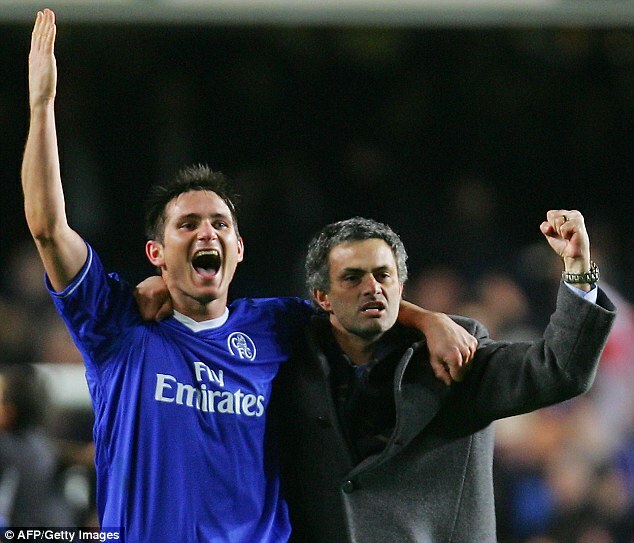 Meanwhile, Frank Lampard will take his Derby side to face his former boss Jose Mourinho at Manchester United, with the pair having enjoyed much success together at Chelsea, which included them winning the League Cup in 2005. 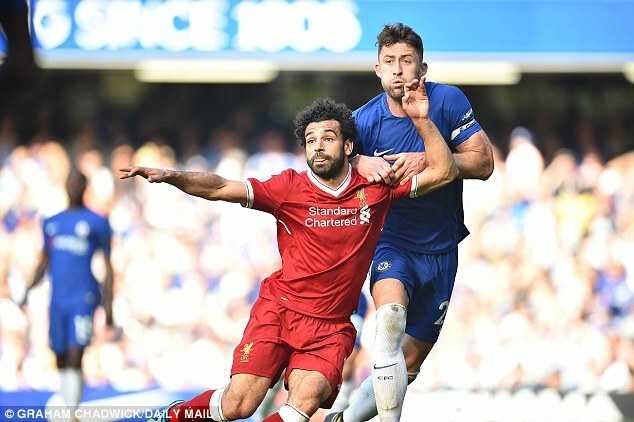 Liverpool's game against Chelsea comes just days before they face each other in the Premier League at Stamford Bridge on September 29. The Reds have started the season in excellent form, winning their first three Premier League games, and this clash will see Jurgen Klopp take on Maurizio Sarri for the first time in England. Chelsea beat Liverpool in the semi-finals of the League Cup in 2015. Lampard was one of the star players for Jose Mourinho during his first spell at Chelsea and they won two Premier League titles together. Mourinho has been the subject of a considerable amount of criticism following United's concerning start to the campaign, and Lampard has a chance to inflict further misery on his old boss. 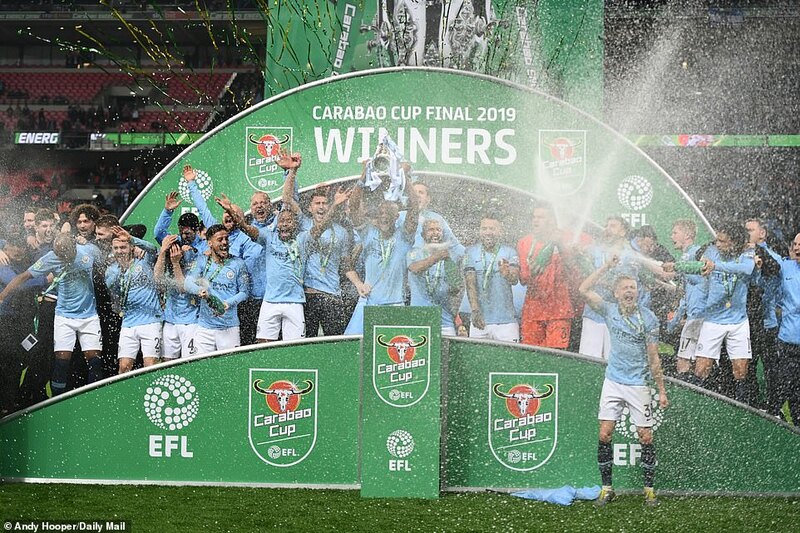 Holders Manchester City face a trip to take on League One side Oxford United, while Tottenham were drawn at home to Watford. Arsenal, who reached the final last season, will host Championship team Brentford. League Two side Macclesfield, the lowest ranked team in the competition, will face West Ham away. Everton play Southampton and Wolves host Leicester in all Premier League ties. Burnley, who enter the competition at this stage, face League One Burton away Crystal Palace make the trip to play West Bromwich Albion. Bournemouth also have Championship opponents as they play Blackburn Rovers. These ties will be played the week beginning September 24. 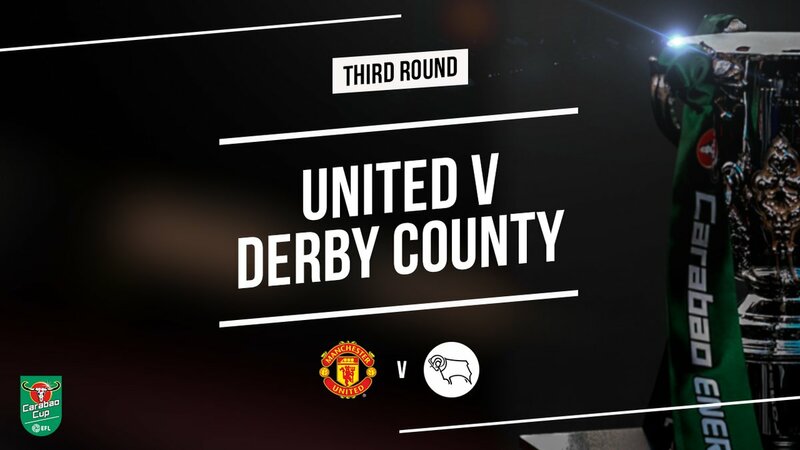 United v Derby ini jadi reuni anak didik sama Gurunya. penasaran juga sama gaya permainannya team asuhan Lampard ini. tapi optimis menang dengan cukup mudah. yang sial sih Pool sama chelsea ya haha.. cepet banget udh ketemu lagi. mayan lah ngurangin lawan berat. 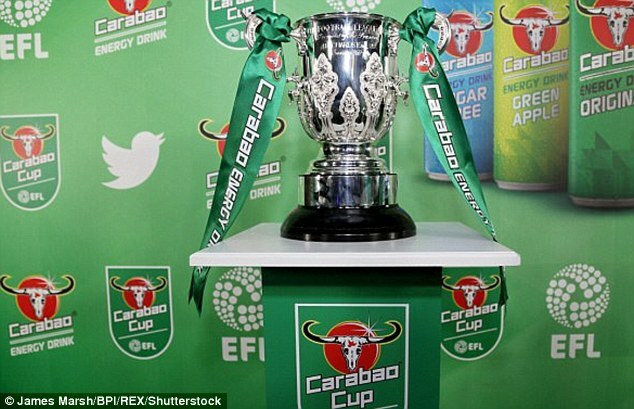 Six Carabao Cup third-round ties will use Video Assistant Referees (VAR) as part of the technology's ongoing trial in English football. 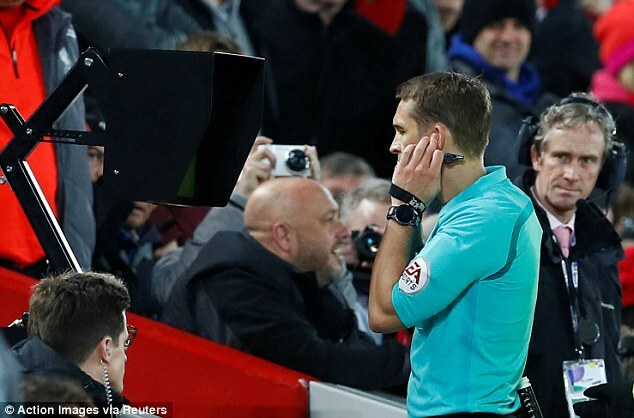 The fixtures on Tuesday September 25 between Manchester United and Derby County at Old Trafford and Wolverhampton Wanderers vs Leicester City at Molineux will use VAR. And on Wednesday September 26, the Arsenal vs Brentford, West Ham vs Macclesfield Town and Liverpool vs Chelsea ties will also utilise the video replays. In addition, the third-round match between Everton and Southampton, at Goodison Park on Tuesday October 2, will have VAR in operation. It comes after VAR was trialled in four of the Carabao Cup second-round fixtures last month, all at Premier League stadiums. 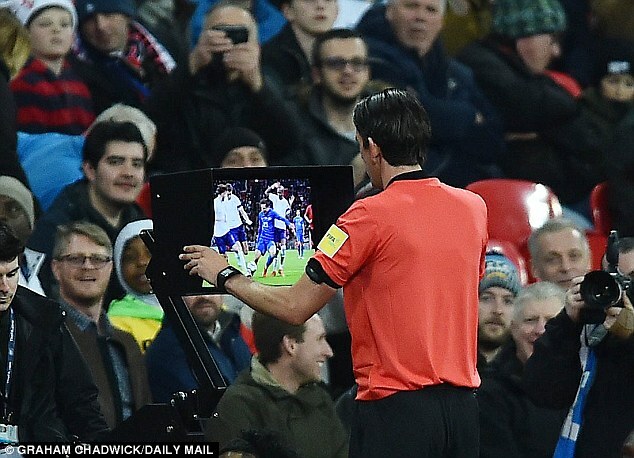 VAR technology allows the match referee to be alerted to contentious incidents he may have missed or called incorrectly by video officials based remotely at Stockley Park in west London. The referee can then choose to review video replays of the incidents on a pitchside monitor and alter his original decision if necessary. VAR checks can be used in four match-changing situations: whether a goal should be allowed to stand, whether a penalty should be awarded or not, whether a direct red card should be awarded, and in cases of mistaken identity. The technology, which featured prominently at this summer's World Cup in Russia, is being trialled in selected English fixtures under the guidance of Professional Game Match Officials Limited (PGMOL). Supporters inside the six venues will be alerted when a VAR check is underway, typically by use of the big screens. The VAR trial in England began last season, with 19 matches in the FA Cup and the EFL Cup involved, but that number is expected to rise to about 60 this season. It comes after a trial during last Saturday's 3pm Premier League fixtures at the VAR hub, without communication with the officials at the grounds. It found that only one decision would have been overturned in the five matches - a Leroy Sane goal disallowed for offside in Manchester City's 3-0 home win over Fulham should have stood. Replays showed that Sane was marginally onside as he scored just before half-time. In April, Premier League clubs voted against the introduction of VAR for this season but it could happen in the future. VAR will not be used in this season's Champions League. London - Big match akan tersaji di babak delapan besar Piala Liga Inggris 2018/19. Arsenal akan berjumpa dengan Tottenham Hotspur untuk berebut tiket semifinal. Dalam pengundian yang dilakukan Kamis (1/11/2018) dinihari WIB, Derby London Utara itu akan dipanggungkan di kandang Arsenal di Stadion Emirates. Arsenal memastikan kelolosannya setelah menang tipis atas tim divisi tiga Blackpool 2-1. Sementara itu, Tottenham menang 3-1 di kandang West Ham. Tim London lainnya, Chelsea, akan berjumpa dengan Bournemouth. The Blues lolos usai menang tipis atas Derby County 3-2 di Stamford Bridge. Adapun empat tim Premier League lain yang belum bertanding adalah Manchester City vs Fulham dan Leicester City vs Southampton. Meski begitu, undian bagi keempatnya sudah ditentukan. Apapun hasilnya, pemenang antara City vs Fulham akan berhadapan dengan pemenang antara Leicester vs Southampton. Pertandingan-pertandingan itu akan dilangsungkan mulai 17 Desember.